Now in paperback: The book that reveals how ballet happens . . .
A rave review . . .
A radio interview . . . Mainstream press . . .
. . . and more of it. The blogosphere . . .
Great Amazon reviews . . .
. . . keep arriving. Insiders agree . . .
. . . and join the praise. I cannot say enough great things about this book. Its exciting and insanely in-depth coverage of “life on the inside” is exactly what tired, musty-dusty dance library shelves have been craving for years! . 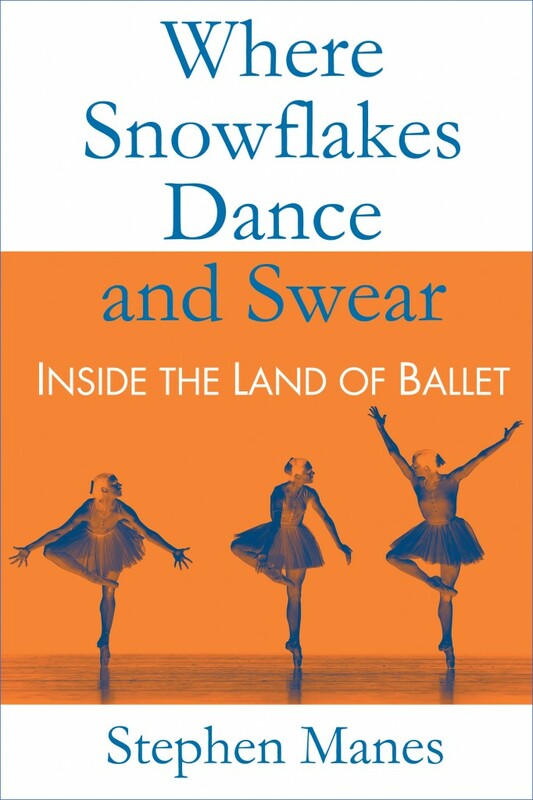 . . Four years in the making, “Where Snowflakes Dance and Swear” isn’t just another textbook-ish tome; it instead reveals just how ballets are produced, marketed, and funded. In short, this beefy book – with all of its juicy gossip and first-hand dancer accounts – boldly goes where no balletomane has gone before!. . . From union mandates to marketing strategies, to painful injuries to exhausting perfectionism, “Where Snowflakes Dance and Swear” leaves no stone left unturned and is an absolute must for the die-hard ballet fan! Click here to read the full story–and hear Stephen Manes discuss the book on public radio.
. . . a fascinating look behind the scenes at one of America’s premiere ballet companies. He was given total access, sitting in on budget talks, casting decisions and long, grueling rehearsals. His book is filled with details, including Pacific Northwest Ballet’s $200,000 annual budget for shoes, and the “superhuman” stretches that dancers go through before each rehearsal or performance. Click here to read the full Patriot-News story. Ballet companies are notoriously closed-mouthed about things like politics, budgets, salaries and injuries because ballet’s history demands that everything look effortless. . . . PNB artistic director Peter Boal was brave to allow Mr. Manes virtually free rein during his third season. . . . there is something for everyone to learn in a book that covers so much territory. 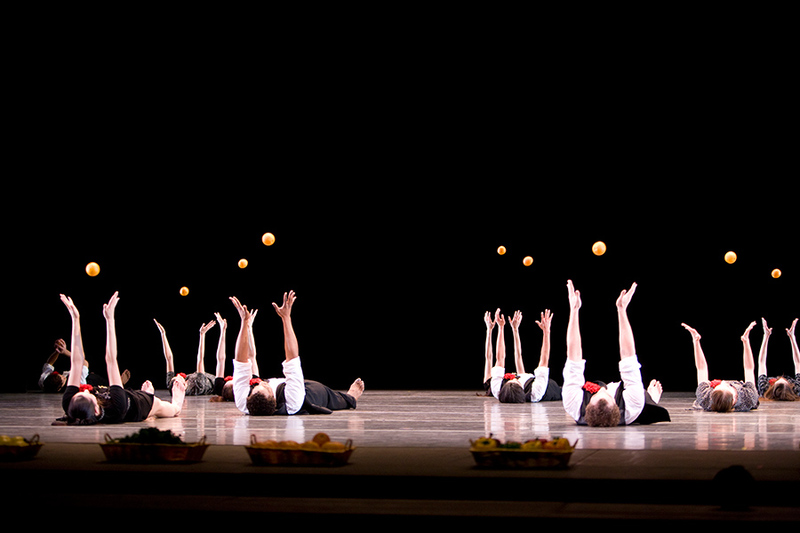 “Snowflakes” should appeal to both ballet fans and professionals who have the same level of passion Mr. Manes exhibits. Click here to read the full Post-Gazette review. Manes takes an in-depth look at the school, classes, coaching, backstage, PR, the front of the house, administration, touring, auditions, fundraising, the orchestra, the Board: all of the aspects that come together to make the organization run and the performances happen. . . . “How are works transmitted?” “How do the dancers learn them?” “How do dancers work?” This book describes all of these in great detail . . . It’s a fascinating story, regardless of whether the reader has ever seen Pacific Northwest Ballet. Click here to read the full Ballet Alert! review. It is rich with human drama, starring a cast of a hundred interesting people we get to follow through their various rôles in a season of a leading ballet company. Manes makes sure you get to see their individual personalities through vivid portraits he delivers by using their own words. The unfolding dramatic events and stories about people we care about make the book a page-turner.
. . . a gift to those that inhabit “The Land of Ballet” and to those that take the time to learn about it. Rarely does one get to learn so much while getting to enjoy such a book. Click here to read the full reviews . . .
“Where Snowflakes Dance and Swear” gives ballet the “Big Book” it so richly deserves. Whether an aficionado, a student, a fan or just someone looking for a fascinating literary exploration of a unique society, you’ll find yourself rapt in page-turning delight. Manes’ videographic style (“Snowflakes” would make a brilliant movie) keeps the reader fully absorbed in revelation after revelation. This is not just a great book about ballet, it’s a great book about life. Click here to read the full review . . .
Stephen Manes has given us a thorough and accurate look at the day-to-day workings of a classical ballet company and its school. He has also thoughtfully incorporated the individual stories of the artists and employees involved in the process of bringing work to the stage. This is a rare look behind the curtain of the performing arts. Stephen Manes has written a remarkable account of a year in the life of a professional ballet company and school. . . . His love of dance with an outsider’s amazement are constantly displayed on every page. I encourage everyone with a real-life under-the-microscope curiosity about the world of professional ballet to take the time to read this marvelous edition. “Where Snowflakes Dance and Swear” is the most accurate depiction of company life in professional ballet that I have ever read. . . . A truly in-depth exploration that should be recommended to anyone who craves insight into the very private world of professional ballet and the dancer subculture. Ballet is about as transparent as the federal government, which means that a very small percentage of its backstage business makes it into the public eye. Author Stephen Manes is about to change all of that with his new book. Engrossing . . . I found it hard to tear myself away from the characters after the book had ended. In a scuffed-up studio, a veteran dancer transmits the magic of an eighty-year-old ballet to a performer barely past drinking age. 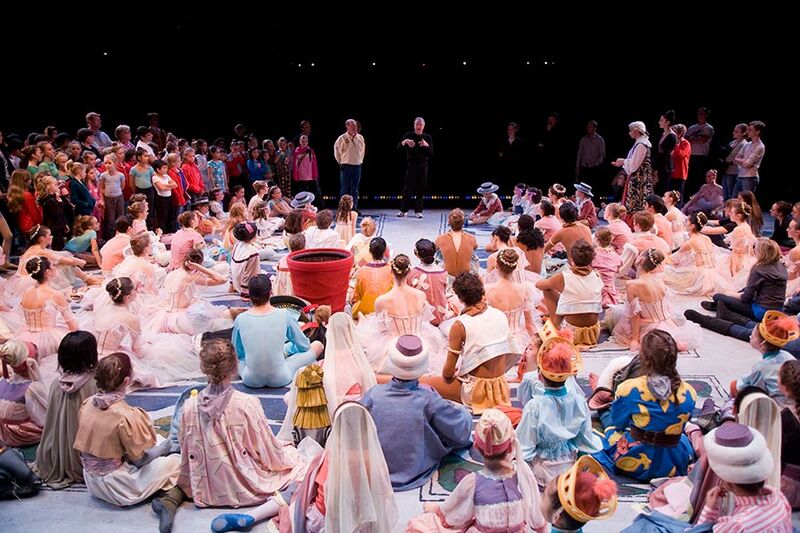 In a converted barn, an indomitable teacher creates ballerinas as she has for more than half a century. In a monastic mirrored room, dancers from as near as New Jersey and as far as Mongolia learn works as old as the nineteenth century and as new as this morning. A bestselling, prize-winning author steps into this world as a total outsider, spends a year in rehearsals, classes, meetings, auditions, and performances, and comes away with a tour de force. This thrilling panoramic exploration of the unique realm he dubs the Land of Ballet reveals the work behind the art in all its dailiness and frustration, generosity and triumph—and considerable drama. Where Snowflakes Dance and Swear zooms in on an intimate view of one full season in the life of one of America’s top ballet companies and schools: Seattle’s Pacific Northwest Ballet. But it also tracks the Land of Ballet to venues as celebrated as New York and Monte Carlo and as seemingly ordinary as Bellingham, Washington and small-town Pennsylvania. Never before has a book taken readers backstage for such a wide-ranging view of the ballet world from the wildly diverse perspectives of dancers, choreographers, stagers, teachers, conductors, musicians, rehearsal pianists, lighting directors, costumers, stage managers, scenic artists, marketers, fundraisers, students, and even pointe shoe fitters—often in their own remarkably candid words.